It screams SPRINGTIME! It's so delicious and it is the perfect treat after a long, hard days work outside in the garden. 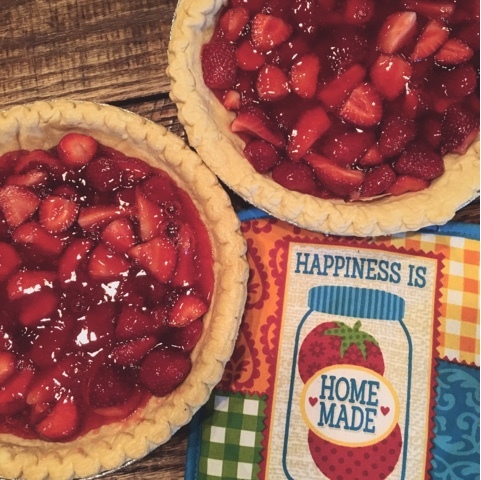 There are tons of different strawberry pie recipes out there and I know there are plenty of great ones, but this recipe belongs to my husbands grandmother and it is by and far my husbands favorite... and possibly mine too. You need two pie baked pie shells. You can make your own or you can purchase some at your grocer. I have this book and I like a lot of the pies she has recipes for. 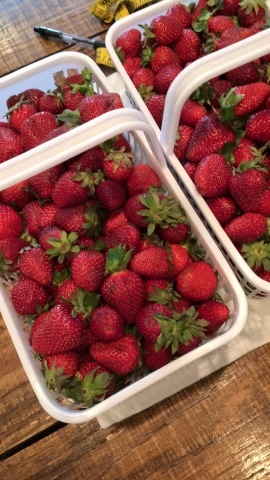 I've got the strawberry icebox pie in the freezer as we speak. And she has a great recipe for pie crust also. You can click the picture for the link. Mix sugar, water, and cornstarch in a pot at medium heat and cook til thick and and congealed, stirring often. Remove from heat and add strawberry gelatin. Let mixture cool completely and then stir in your berries. Divide your berry mixture between the two baked pie crusts and refrigerate until cooled and the gel has set. Enjoy with some fresh whipped cream or eat as is!